This year's FOMS meeting is a two-day event, right in the middle of two other interesting events for media developers in Europe. We start with a 'getting to know you' session of position statements. Who am I - introduce yourself briefly, real briefly. Focus and activity - describe the areas that you and your project are working on. This will put your goals and contributions in context for other participants. Current challenges - describe problems that your project has encountered, things that are not working or not available. Focus on things that you want to see discussed at FOMS. These items will contribute to a gap analysis and identify areas for further discussion aside from exisiting sessions. First we will have a brain-storm session to identify topics for discussion sessions that we want to work on for the remainder of the workshop. Then we will have two streams: one stream with discussion sessions that have been submitted to FOMS and one with discussion sessions that originated in the brain-stroming session. We will end the day with a plenary to summarize what was achieved on Day 1. For all those interested, we will go for a conference dinner together. We will start the day identifying in any further sessions that may have arisen since Day 1. 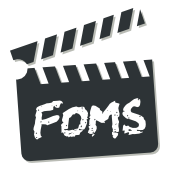 Then we will continue the two streams: one stream with discussion sessions that have been submitted to FOMS and one with discussion sessions that originated in the brain-stroming session. There should also be time to go off in smaller groups and code away or make plans for the next codec that will rock the world, or the next media usage scheme. Go for a drink and explore Paris before heading on to IBC on the next day.